I have ignored a lot of the hype around certain products. I ignored the hype around the Nyx Soft Matte Lip Creams. I ignored all the buzz about Maybelline Color Riche Balms. I even passed on all of the Maybelline Vivid lipsticks. But when these products started getting talked about on the blogosphere, I couldn’t help but me interested. I ended up picking up 2 of the new Nyx Butter Glosses, Cherry Pie and Maple Blondie, on recommendations from you guys as well as fellow vloggers and bloggers. Cherry Pie is satisfyng my urge for red lips in the fall and winter, and Maple Blondie is the perfect every day pink gloss. So how does these stack up? Do they live up to the hype? Buttery soft and silky smooth, our scrumptious new Butter Lip Gloss tastes as sweet as a sugar cookie—and makes your lips look downright luscious. Swipe it on alone or over your favorite lipstick for creamy sheer to medium coverage that melts onto your lips and is never sticky. I will say that the description is kind of spot on! They are really soft and silky, taste like a sugar cookie, and have a medium coverage. They also aren’t sticky at all. As you can see, these definitely do have nice pigmentation and cover up my lip color nicely. They also are extremely glossy looking. What I like: I love how pigmented they are. You definitely can wear them on their own for a nice pop of color. Or you can wear them over lipsticks for a more intense look. I prefer Maple Blondie on its own over Cherry Pie, but love that I can wear Cherry Pie for that “just ate a cherry popsicle looks.” I love how smooth they are and the smell and taste! They have a very sugary smell to them, but not so sickly sweet that it gets annoying or makes me hungry. 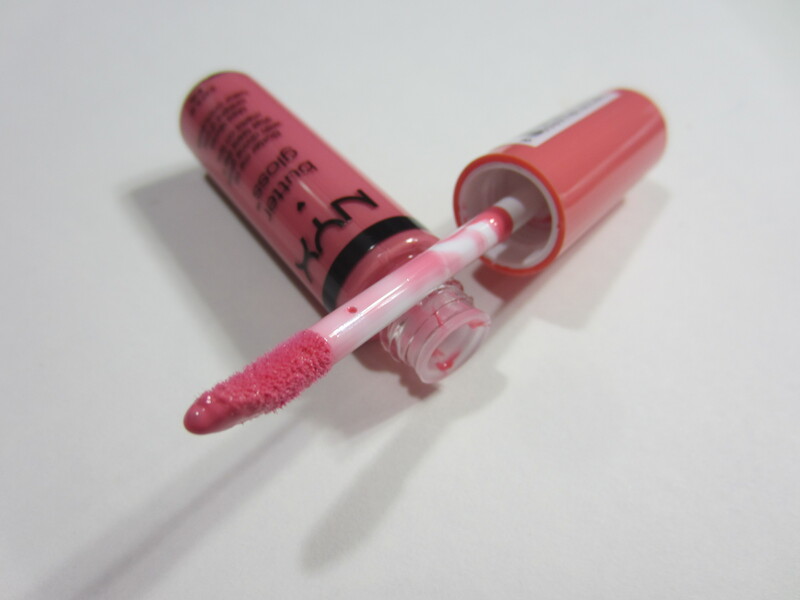 What I don’t like: I prefer stickier lip glosses. I know that I am in the minority on that one but I think stickier glosses stay better. 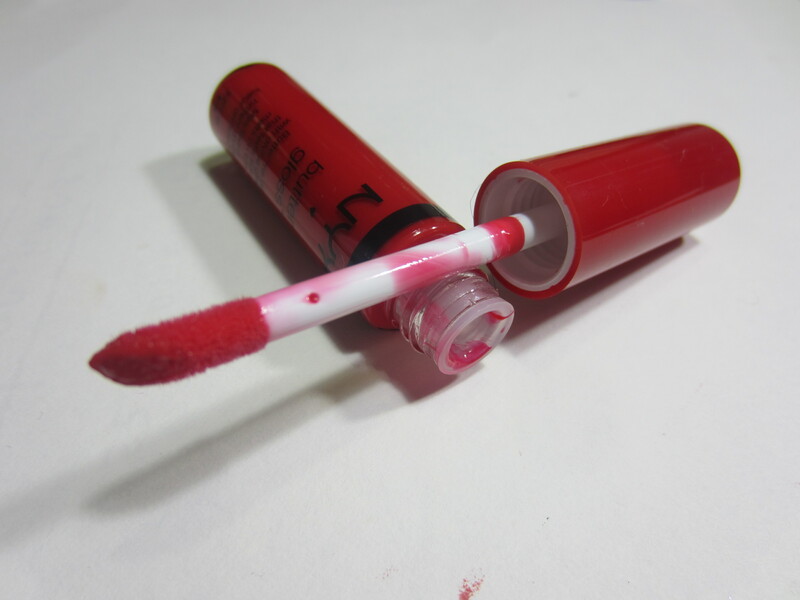 These slip and slide around my lips and with a color like Cherry Pie, its very noticeable when it starts to spread outside my natural lip line. 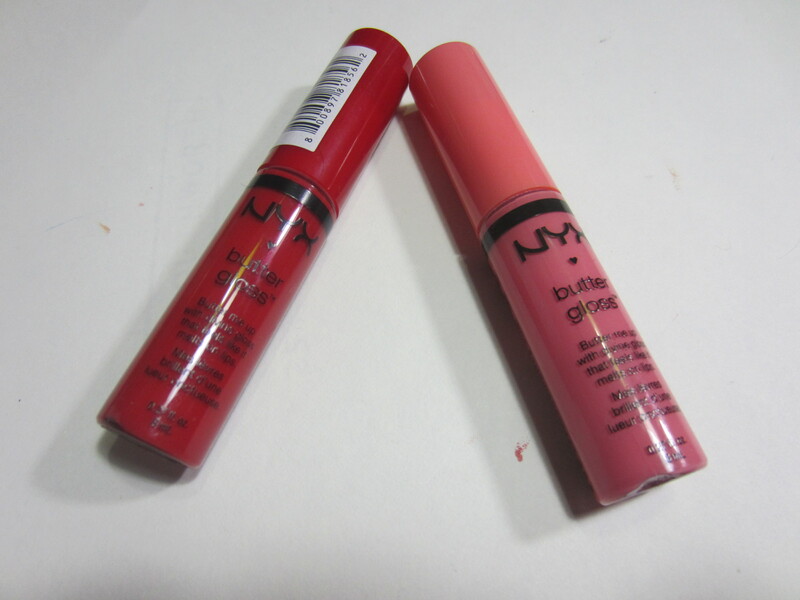 Overall, I like these but after trying them out, I realized how much I prefer stickier glosses. I love the scent and how pigmented they are! I love the versatility of being able to wear them on their own and wear them over a lipstick. But I have to check on them after about an hour to make sure I don’t have gloss all over my chin. What do you guys think? Do you have any colors? 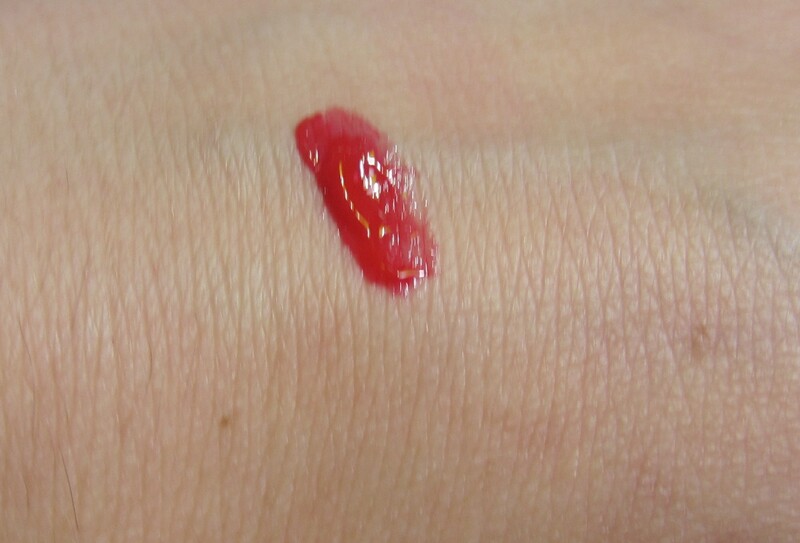 Revlon Super Lustrous Lip Gloss Review! ← HUGE Nail Polish Haul!! Indies, Zoya, OPI and MORE! Overall I prefer stickier glosses as well, but I do like these ones for casual wear. I have five (I think?). Tiramisu is my favorite, beautiful brownish pink everyday kinda shade. i’m so glad i’m not alone in liking stickier glosses! i’ll have to check out tiramisu the next time i’m at ulta! thanks for commenting heather! I think these colors are awesome. I also prefer stickier lip gloss! i’m so glad i’m not alone in loving stickier glosses! thanks for commenting! OMG! Someone who likes sticky lip glosses! I prefer sticky lip glosses for the same reason. Sticky glosses do not move on my lips and I have ginormous lips so everything feathers, bleeds, moves etc. I do like these Butter Glosses, although, surprisingly, many of them do not flatter my skin tone. i’m so glad i’m not alone in liking sticky lip gloss! everyone always talks about stickiness as being a bad thing and the second that i heard something isn’t sticky i’m turned off lol thanks for commenting! they do slide around a little. let me know which color you end up getting and what you think! thanks for commenting! aww thanks so much! and i think i want to give the matte lip cremes a try now too! thanks for commenting! oh i really want to try the rimmel apocolips! i have like 4 on my wishlist! which one is your favorite? i’m so glad i’m not alone in loving sticky lip gloss! thanks for commenting!